“The Game is over-the Rebels have won” statement made on the steps of Celtic Park has become quite an iconic saying which is easily identifiable with many Celtic fans. 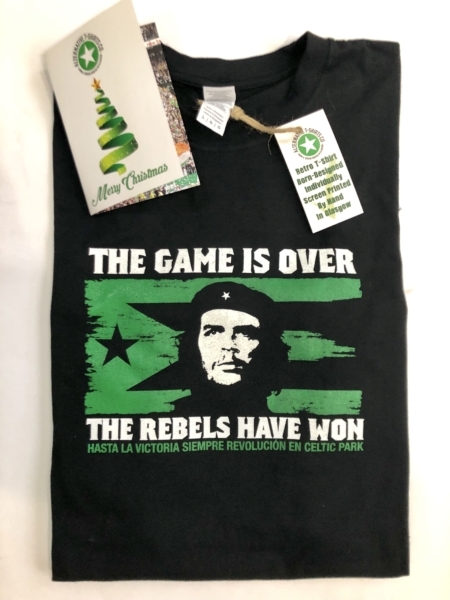 The Revolutionary Che Guevara is a figure which is easily identifiable with introducing change – and we’re sure the Cubans wont mind us changing the colour of their red, white & blue flag on this occasion. 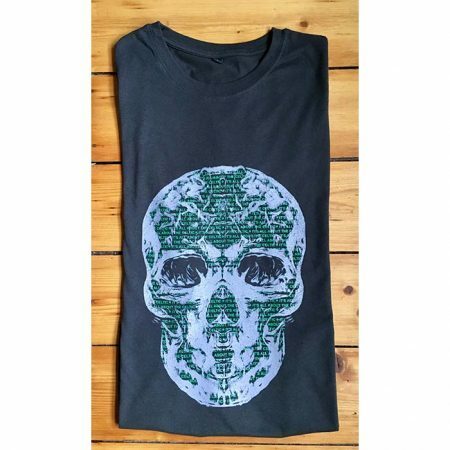 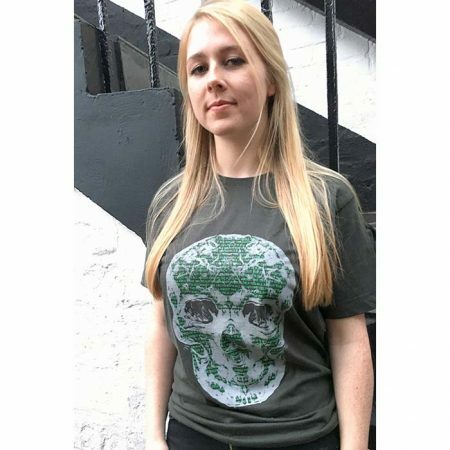 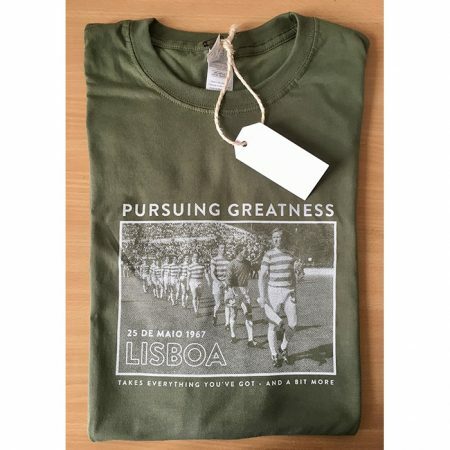 This top quality t-shirt is available in 5 colours Kiwi Green, Ringer Yellow/ Green, Grey, White and ringer Green/Green. 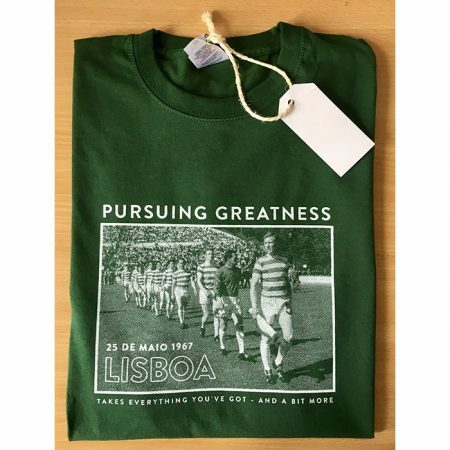 Enjoy your classic cool t-shirt.